Music Victoria in partnership with the Victorian Government is thrilled to announce the very first recipients and mentors of the inaugural pilot ‘Cultivate’, Victoria’s new initiative for mid-level to established women leaders in the state’s contemporary music sector. 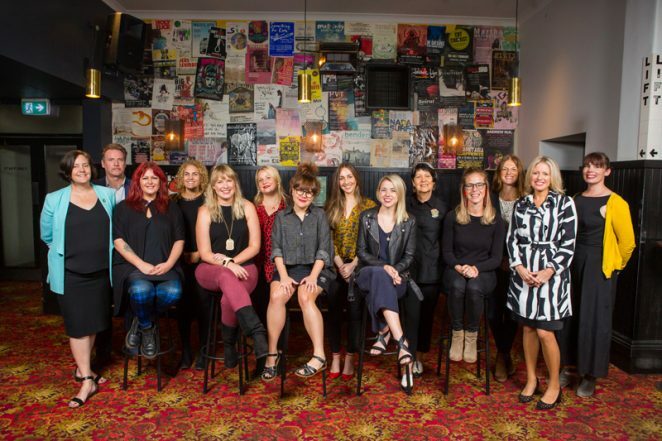 The program was officially launched Wednesday 20 March at The Corner Hotel with an all-day workshop including talks by keynote speakers Mrs Chloe Shorten and Director and CEO of ACMI Katrina Sedgwick, and hosted by Australian music industry veteran Leanne de Souza. “The Cultivate program is a genius idea and I couldn’t be more stoked and grateful to be a recipient alongside these inspiring woman paving paths in Australia. The incredible initiative will have a long-lasting impact on the music industry and be felt for the years to come. “Give a woman a fish, and you’ll feed her for a day. Teach a woman to fish, and you’ve fed her for a lifetime.” That’s the saying right?” – Dallas Frasca. Carefully selected by Project Manager, Sarah DeBorre, Amanda Walker – Co-founder & owner Lord of the Fries (LOTF) & Weirdoughs, Mia Klitsas – Co-founder and Director Moxie Products and The Brand Maketh, Jackie Antas – General Manager, Communications Ticketmaster/Live Nation Entertainment, Australia and New Zealand, Leonie Morgan AM – Consultant and Board Director and Sarah Davies – CEO Philanthropy Australia will all spend one-on-one time with the five outstanding leaders of the Victorian music industry. “Mentoring is a powerful tool that really makes a difference and I am so excited to be paired with the amazing Coco Eke from Bad Apples Music as part of the Cultivate Program. There is a lot we can discover together.” – Leonie Morgan, Consultant and Board Director. Kate Duncan – CEO, The Push Inc.